Intech Services is proud to announce the 2014 I³ workshops for DuPont™ Teflon® industrial coatings will be held in Redondo Beach, California from October 7-9, 2014. The two workshops offer formal training for coating shop management and employees in topics such as fluoropolymer products, industries and end uses, sales process, and application methods for fluoropolymers. I³ workshops were created to provide formal training to enhance the DuPont™ Teflon® coating customer’s knowledge of the product, markets, sales process, and application methods. Intech Services, the sole distributor for DuPont™ Teflon® industrial coatings to the U.S. and Canada, is proud to announce that Intech’s Information Institute, otherwise known as I³, will be hosted in Redondo Beach, California from October 7-9, 2014 at the beautiful Portofino Hotel. The I³ workshops were created to provide formal training to enhance the DuPont™ Teflon® coating customer’s knowledge of the product, markets, sales process, and application methods. The two workshops being offered are Product, Markets, & Sales Strategies for DuPont Fluoropolymer Coatings and VirtualPaint® Training for DuPont Fluoropolymer Liquid Coatings. The Product, Markets, & Sales Strategies for DuPont Fluoropolymer Coatings is a 1½ day intensive seminar designed to provide attendees with a comprehensive, complete of our fluoropolymer product line and the outstanding characteristics and end uses for each. Attendees will also gain valuable insight about product selection criteria in order to make accurate product recommendations. Attendees will also get an overview of the foundation of a sales process, as well as specific tools and processes that can be effective in any coating facility. Coupled with product and market knowledge, attendees will be better equipped to develop new coating business opportunities. Whether new to the coatings industry, or an experienced veteran, this workshop gives a wealth of valuable information for immediate use. The second workshop offering is the VirtualPaint® Training Program for DuPont Liquid Fluoropolymer Coatings presented in conjunction with Iowa Waste Reduction Center at the University of Northern Iowa. This interactive 1 day training program allows attendees to improve their spraying technique, film thickness, and transfer efficiency in a virtual spray environment, while eliminating any waste associated with spray application training. Unlike conventional spray training courses, this hands-on program will allow attendees far greater opportunities to work on their application technique with almost limitless part geometries to coat. 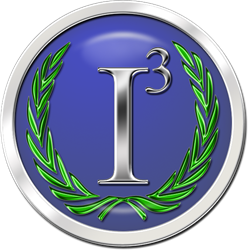 Registration for the I³ workshops is open. Please visit the Intech website to register or for more information.